From the time the home is purchased to the time your new construction home is ready can vary from few months to a year. Between the process, you will go through several appointments including structural option section to designer center. The options are added to your final sales price. Most builders require you to secure your loan 45 days prior to the closing date. During that period just like a traditional home sale purchase the lender will order appraiser. What happens if your new home construction valuation/ appraisal is lower than your final sales price? Can you get your security deposit back? Or can you void the contract? 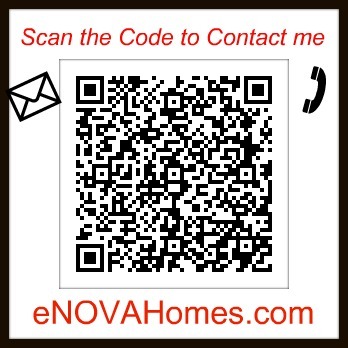 Well, if you are buying a home in the Northern Virginia area of Arlington, Alexandria, Fairfax, Prince William or Loudoun county our builders have a form or a paragraph in their contract that states that the builder is not going to renegotiate the contract terms in an event the appraisal is low. The reason builder has a waiver on their contract terms is we had a situation where the buyers would upgrade the home to the value that the builder cannot support. So for example, you upgraded kitchen package to level 4, all flooring to the top of the line and so one. The builder is not responsible if you want high-level upgrades while most home buyers in that subdivision are purchasing a balance of upgrades. Nowadays builders do keep an eye on how much you are spending/upgrading compared to your initial loan application qualification value. If they sense you are going over your qualification or neighborhood valuation they will stop you before it is too late. If you are working with builder's lender the low appraisal valuation will be unlikely or rarely an issue. The biggest challenge is when the purchase of a home is using outside lender and they have 3rd party appraiser coming to appraise your home. Again, going back to what can you do as a consumer if the appraisal valuation is low? You can try re-negotiating with the builder or if your loan is denied and you are contingent on securing a mortgage you can leverage that as a renegotiating tool. Last but not the least if you are not able to re-negotiate you will either have to forgo your deposit and/or bring the difference to the table since your lender cannot loan you above appraisal value. Review the appraisal report. If there are errors contact your lender immediate to appeal the appraisal report. Hi Ritu - Very informative post, and I like your suggestion regarding the builder's lender.